I SPENT A DAY in Dublin's RDS Main Hall surrounded by thousands of Minecrafters and left with the realisation that our 9yo daughter has immersed inside a virtual learning environment alongside her friends in Busybees of Clonmel. Thanks to her expertise, Mia built me a Minecraft world that I used for a presentation inside the Minevention Education Zone. Several primary school teachers listened and now plan to attend our annual ICT in education conference on 6 May 2017 in Thurles where they will meet up with other coders and Minecrafters. I WAS PART of a 90 minute panel discussion held in the Clonmel Park Hotel on the 16th of February. Along with four other people I chatted about social media and selling. I tried to bring the perspective of influencers to the table because I believe the essential nub of any social media discussion revolves around influencers. I TRY TO DO everything I teach so because I'm currently teaching Decision Support Systems (DSSs), I will explain my Personal Decision Support System. By doing this, I expect to compare and contrast the personal DSSs my business students share with me. Like all of my students, I have a mobile-fueled lifestyle and that means I use information served up through mobile browsers and applications as integral parts of my personal DSS. 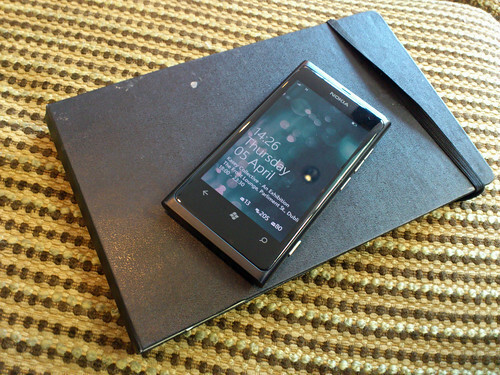 I bought handsets and tablets that I carry with me to do my job--like the venerable Lumia phone in the photo below. If you flip backwards through the 20 years I have blogged you can see that I update my blog as often from my mobile phone as I do from a desktop. In fact, I have not had a desktop computer since 2010. I NEVER THOUGHT I would see both the rise of populism and the dismissal of expertise enshrined in the White House. But that has happened and I think it's important for all free-thinking people to step up their game by diving deep into high quality programmes like the BBC Radio 4 series The Life Scientist. The show is largely the work of broadcaster, author and physicist Jameel Sadik Al-Khalili (in the photo from 1001 inventions), a British citizen whose passport has the imprint "Born in Baghdad" on it. Similar passport holders have endured the humiliation of hours of interrogation in American immigration cubicles. I graduated from an American high school where several of my classmates have helped propel the rise of right-wing populism. Some of that populism has normalized nasty attitudes and it has scorned reasoned discourse about climate change, religious faiths and immigration policy. I am appalled by the sludge of dubious opinions being passed off as facts. I'm troubled by the phenomenon of science denial because that sort of behaviour leads to the eroding of important international treaties when political appointees revert to their gut feelings about ways things should be done. Facts are worth fighting for. So I've put The Life Scientist at the top of my podcast player and I plan to share snippets of what I learn with our two children who need to learn the scientific method. WE'RE INVITING the Amazon Echo Dot into several multimedia tutorial sessions to learn more about tools that favour immersive classrooms. And a surprising thing has happened--the students have accelerated post-production workflow of the 360 video recording that we create during some of the sessions. I'VE RETURNED FROM an internal review of major academic programmes with the deep-seated frustration that we fail to execute meaningful collaboration at third level. I doubt my conclusion is unique because I hear the same sort of cross-talk during annual conferences throughout Ireland and the United Kingdom. FIVE YEARS AGO TODAY I published a blog post about "dirsuptions in publishing" and at that time I pushed the post forward five years so I could see whether my predictions were accurate. Back in 2012, I was interested in what kinds of disruptions commissiong editor Eoin Purcell was seeing in the print industry. I brought my Kindle (at left) to the table and listened. At the time, Random House, the USA's largest publisher, was getting 20% of its U.S. revenue from digital sales. 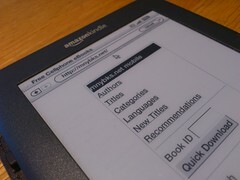 Amazon was adding an author a week to its list of million sellers in Kindle e-book sales. Six of the top 20 titles on USA Today's Best-Selling Books list were e-books. Barnes and Noble was hoping that its Nook would keep the basic business afloat. And back on campus, we were teaching students how to create content with Adobe InDesign and Calibre recipes. I made the soft prediction that students would like to have as many choices in reading formats as possible and that hard cover textbooks were less important than e-books whose pages they could print on demand. I thought that my young daughter would want to continue reading on her iPad and also with an e-ink device.